Home is where the heart is, even if you can’t remember which box you packed it in. Moving into a new home can be stressful, but there’s also nothing more exciting than flinging every window open to great possibilities. And when you do, perhaps the fresh breeze will bring new landscaping ideas and designs whirling around your head. Don’t worry, with Rigid Landscapes, it is possible to bring those visions into reality- and finish the unpacking. The art of living in Geelong is about balance and making the most of the weather. Think of the time you spend entertaining or relaxing outdoors. With landscape design construction, you can have beautiful, functional outdoor spaces on any sized budget. Thoughtful landscape design creates harmony between the hardscape and softscape areas of an outdoor environment. 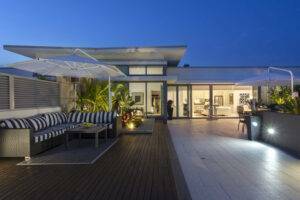 The first step is to connect with a Geelong garden landscaper to discuss your ideas. Once you’ve agreed on the idea, the landscaper will present a concept. 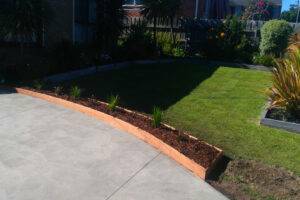 Garden landscapers in Geelong have to be environmentally sensitive as well as budget conscious. 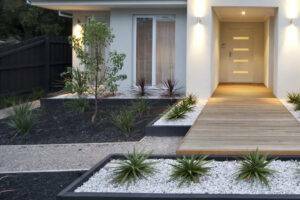 Skills, experience and local knowledge are all employed in creating your landscaping concept. Design considerations like longevity, maintenance costs, creativity and practicality all need to be considered. Ultimately, you will want a concept that suits your individual taste and budget. At Rigid Landscapes, we pay close attention to small details, because every layer of the design contributes towards the quality of the finished work. When we construct a landscape, we deliver the whole solution, including outdoor lighting, decking, drainage, irrigation, walls, driveways, pathways, patios, pool solutions, gardening and outdoor entertainment areas too. Your garden landscape is your own ‘welcome home’ at the end of a long day. From the idea to the implementation, you will participate in an exciting creative journey. At the end of it, make a proverbial toast to your neighbours and light your virtual cigar, you’ve earned it. A professionally landscaped garden adds value to your home and neighbourhood. Call us on 0415 354 439. We have the experience and the passion to do a perfect job, every time.